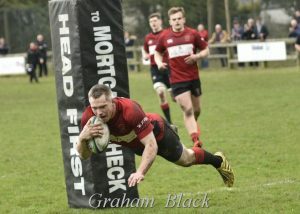 The Reds rounded off their BT East 1 league season with a bonus point victory over Forrester at Mains Park on Saturday. Jack Frame claimed a brace of tries and added a further 10 points from his boot, whilst there were also tries for Rab Cairns and Andrew Whitelaw. The result leaves the Reds on 49 points, with 9 wins from 20 games.